Tickets cost $50 and can be purchased through timesfreepress.com/BOP. Tables of eight in proximity to the speaker can be reserved for $400. All athletes who were named to Best of Preps teams this school year will receive free admission, and they will not have assigned seating. Those athletes will be notified how to RSVP in the coming days. The deadline to buy tickets is May 27, unless the event sells out before then. 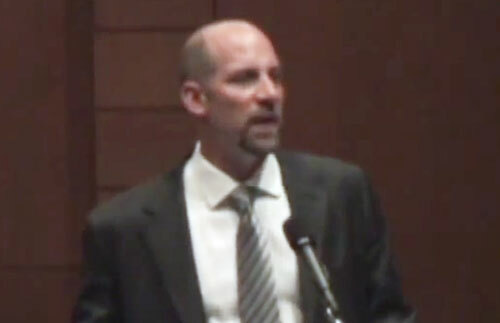 Watch John Smoltz speaking at the 2012 Best of Preps banquet. Smoltz is the former pitcher for the Atlanta Braves. He was predominantly known as a starter and is former Cy Young Award winner. He is the only pitcher in Major League history to top both 200 wins and 150 saves. He is a born-again Christian who has made Atlanta his home, and is Chairman of the Board at Alpharetta-based King’s Ridge Christian School, and a member of the Presbyterian Church in America. He also has a home at Sea Island, a golf resort on the Georgia coast. Smoltz is also a great golfer and often golfs with Tiger Woods. Tiger Woods has stated that Smoltz is the best golf player outside the PGA tour that he has observed. Christian Speakers 360 is a booking agent for Christian athletes and celebrities. If you would like to book John Smoltz for an appearance, contact John Smoltz’s booking agent for speaker fees at 1.800.966.1380.